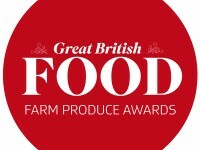 If you haven’t yet filled in the entry form, there’s still time to enter your ribeye steak, pork sausages and/or pork pie to Great British Food magazine’s first ever Farm Produce Awards. The event will provide a fantastic platform for the skilled, passionate – and often unsung – artisans behind the nation’s finest speciality food and drink, and unlike many other awards schemes, ours are completely free to enter! All companies need to do is fill in our entry form by June 13th (attached or available at greatbritishfoodmagazine.com/producerawards) then send two judging samples into our Essex-based office by June 26th. You can enter as many categories as you like. Sausages should contain at least 70% good-quality British pork, traditional herbs and spices. They shouldn’t shrink or easily explode when cooked, or be filled with artificial flavourings or preservatives. Once cooked, they should have a nice ‘snap’ to them, great texture and full flavour. Products will be blind-tasted and judged by a panel of experienced food journalists, who will award marks for quality of ingredients and flavour, appearance, presentation, provenance and traceability. There will also be a separate reader-voted category, the GBF Farm Hero Award, which will reward bigger, better-known national food brands more readily available from retailers, but which also meet the criteria above. Readers will be invited to pick one overall winner from a shortlist of producers spanning all categories, or nominate their own. Winners will be announced in our September issue via a big spread, with beautiful photography and lots of info about the company. We’ll also be sending out promotional material (bespoke logos, template press releases etc.) to allow winners to promote the win as much as possible.